BORDEN, HAROLD LOTHROP, militia and army officer; b. 23 May 1876 in Canning, N.S., only son of Frederick William Borden* and Julia Maude Clarke; d. unmarried 16 July 1900 in the action at Witpoort (Republic of South Africa). In addition to being an able student and athlete, Harold Borden was an ardent member of the militia cavalry. He had joined the King’s Canadian Hussars as a trooper at the age of 17 and was commissioned in 1897. That year, along with several other militia officers, he accompanied Laurier to London for Queen Victoria’s diamond jubilee. He was promoted major in command of his unit two years later. Laurier’s cabinet, after a difficult debate, decided in October 1899 to permit recruitment of Canadians for service with the British army fighting the Boers in South Africa. Borden soon left medical school to volunteer. In English-speaking Canada the popular enthusiasm was such that Borden, like many young militia officers, had to accept a lower rank as the price of being included. Lieutenant Borden of B squadron of the 1st Canadian Mounted Rifles disembarked with his regiment in Cape Town on 21 March 1900, four months after the arrival of the first Canadian contingent [see Sir William Dillon Otter*]. Following a week of training at the Cape, in khaki uniforms to which they were unaccustomed, Borden’s unit headed north along the single rail line toward Pretoria, capital of the South African Republic (Transvaal province). The war, which had begun the previous autumn, had gone badly for the British. Their large, cumbersome units had proved no match for the agile marksmen of the Boer commandos. 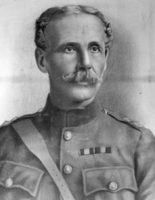 When Borden’s regiment arrived in South Africa, the defeats of “black week” in December 1899 were behind the British army, but more than two years of continued fighting – and, worse still, disease – awaited it and the small colonial units that joined it. Almost immediately the Canadian Mounted Rifles saw enough hard fighting to turn the most eager volunteer into a hardened, if not disillusioned, veteran. 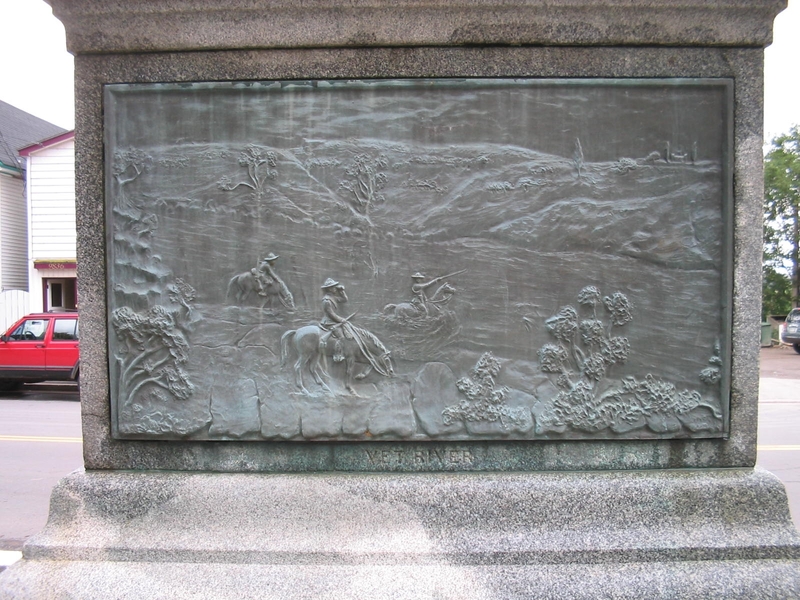 Borden’s death on 16 July occurred in a small action similar to many others that the British army had fought as it ponderously pushed its way into Pretoria and beyond. The Boer general Louis Botha had skilfully deployed his men in the mountains to the east of Pretoria to hinder a further British advance. In helping the Royal Irish Fusiliers and some New Zealanders to withstand a Boer assault on Witpoort ridge, lieutenants Borden and John Edgar Burch led a counter-attack. They were successful, but only at the cost of their lives. Boer marksmen less than 200 yards distant shot them as they stood up to lead the rifles forward. Lord Roberts reported to the War Office that Borden and Burch “were killed while gallantly leading their men in a counter attack upon the enemy’s flank at a critical juncture of his assault upon our position.” The bodies were buried by lantern light near the battlefield. Later they were transferred to a small cemetery at Brakpan. 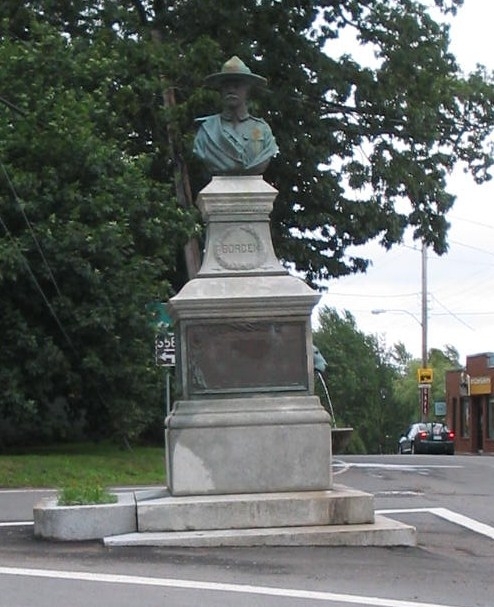 Queen Victoria asked F. W. Borden for a photograph of his son, Laurier praised his services, tributes arrived from across Canada, and in his home town a monument was erected to his memory. Some Canadians had actively opposed the country’s involvement in the South African War, but by most of English-speaking Canada military duty was accepted and even welcomed as recognition of Canada’s place within the British empire. Of the estimated 100 Canadians killed in the war (a greater number died of disease), Harold Lothrop Borden was the most noted. The fact that he was the only son of the minister of militia and defence contributed to the widespread interest in him – his death came to symbolize the service of approximately 7,000 Canadians who had eagerly volunteered for the distant imperial campaign and the price Canada paid for its participation. Argosy (Sackville, N.B. ), 24 (1897–98), no.1: 8–9. 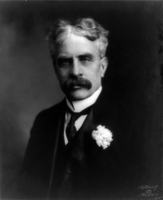 R. L. Borden, Robert Laird Borden: his memoirs (2v., Toronto, 1938), 1. Can., Parl., Sessional papers, 1901, no.35a. Chronicle (Montreal), 20 July 1900. Acadian Recorder, 18, 25 July 1900. Eaton, Hist. of Kings County. W. S. Evans, The Canadian contingents and Canadian imperialism: a story and a study (Toronto, 1901). Brereton Greenhous, Dragoon: the centennial history of the Royal Canadian Dragoons, 1883–1983 (Belleville, Ont., 1983). Roy MacLaren, “BORDEN, HAROLD LOTHROP,” in Dictionary of Canadian Biography, vol. 12, University of Toronto/Université Laval, 2003–, accessed April 22, 2019, http://www.biographi.ca/en/bio/borden_harold_lothrop_12E.html.